There are a lot of birthdays among my family and friends this week on top of it being Valentine's Day on Friday, so I needed to make some cards. Lacking direction, I went straight to Pinterest. 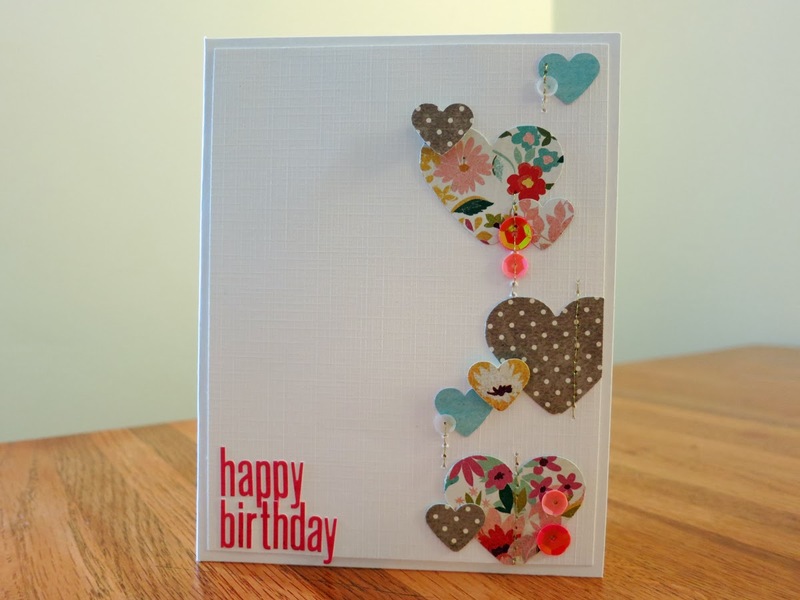 I came across this simple beauty by Leah, and knew it would make a lovely birthday card for my mom. I sent my sister a Valentine package, and since the card was tucked inside the box, it wasn't a problem that I made a puffy felt heart to put on it. A little while ago, I made a few cards, all similar, to have on hand whenever I want to send a little hello to someone. If you're familiar with my projects, you know I often make word art to incorporate into my designs. I coupled it with one of my first attempts at brush script. It didn't turn out very script like, but I had fun experimenting. I've already mailed one out, sending it to a friend I met through blogging. Her name is Jana, and I love her style of scrapbooking. Her layouts are so creative, and even though her style is quite different from mine, she inspires me often. 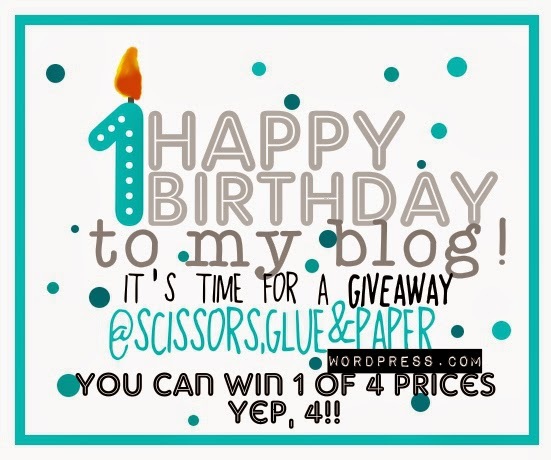 She blogs at scissors, glue & paper and celebrated her 1st blog birthday over the weekend. In honor of that, she's hosting some grab bag giveaways. Of course that isn't the only reason to visit her blog, pop over to check out her her lovely layouts, cards, paper craft projects, and free cut files! 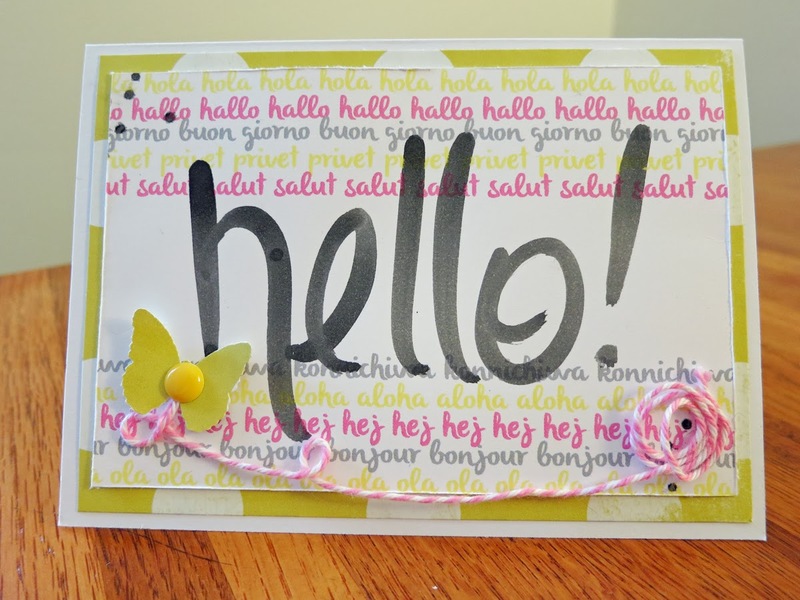 I think you did fabulously well with the brush script on your card! Great projects! Beautiful collection of cards ! The first one is absolutely gorgeous ! Love everything on it. Those are great cards and like you I have so many birthdays this week let alone the whole month of Februrary..it's a bit overwhelming to make sure I don't forget anyone. Oh, I love each one! That felt heart IS SO CUTE! I love it! Wonderful! But I think my favourite is your "Hello" card. I love your script on it. Your cards are all so super cute! I really love the hearts along the left side of the first one and the huge Hello! on the last. Fun cards! 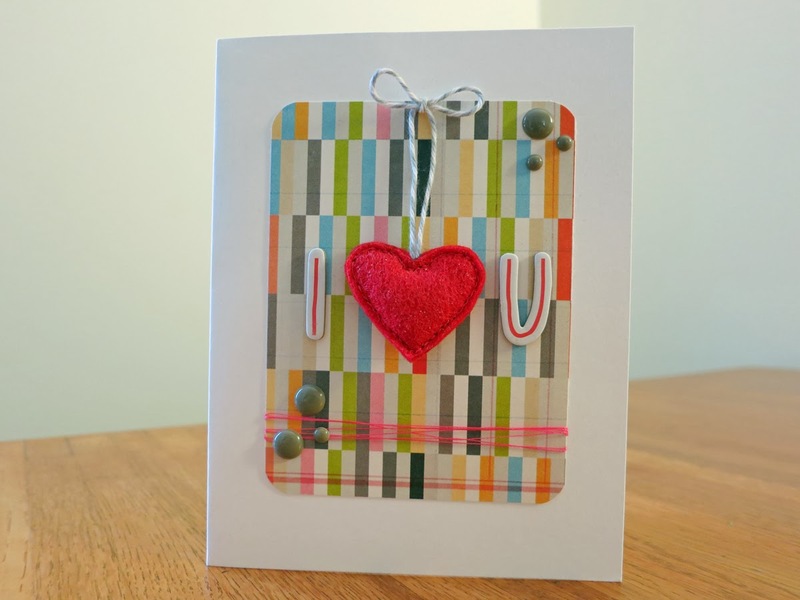 Your cards are adorable and the felt heart is so stinkin' cute!